Charlotte, NC – Dustin Tokarski did everything humanly possible, and perhaps even beyond that standard. 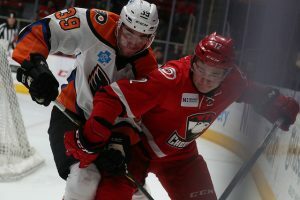 But eventually the Charlotte Checkers broke through for a comeback 3-1 victory on Tuesday night over the Lehigh Valley Phantoms. The two teams’ current alignment in the standings in the first and fourth positions of the Atlantic has this matchup as a potential playoff rematch in a couple weeks. Tokarski was coming off a magnificent month of March in which the 28-year-old from Watson, Saskatchewan went 6-1-1 with three shutouts and a 1.94 goals-against average and .931 save percentage. For awhile it looked like “Tick” was potentially in line to pick up his sixth shutout of the season which would have moved him into a tie for the league lead. 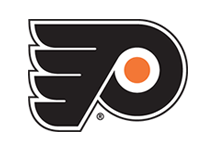 Radel Fazleev (4th) scored shorthanded in the first period to provide the Phantoms the opening lead. 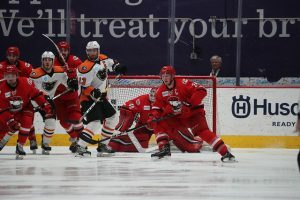 But eventually the Checkers rallied for three goals in the third period for the victory. 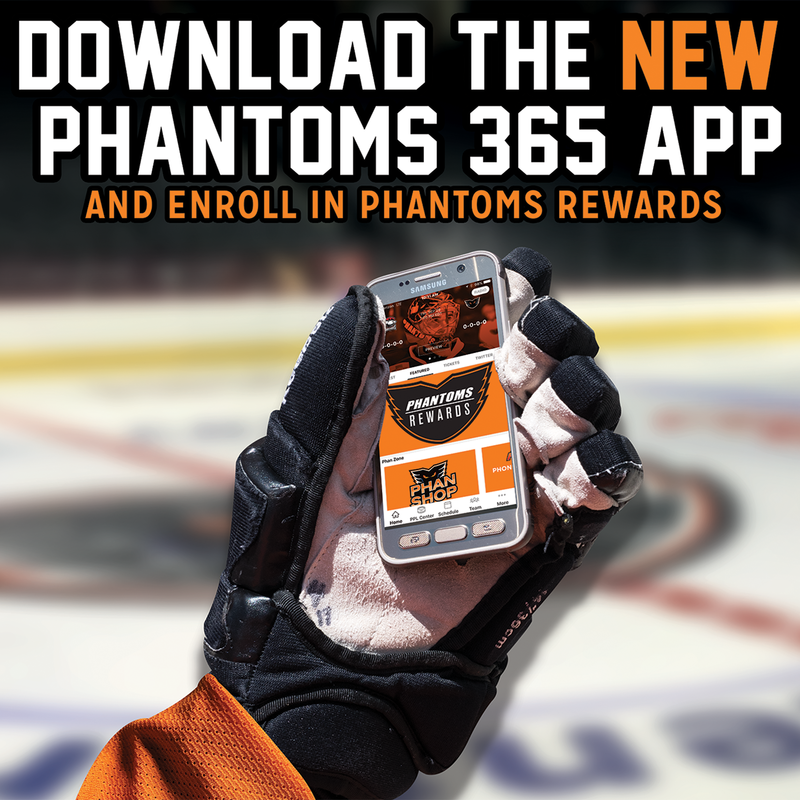 It was the first time in two years that the Phantoms took a regulation loss when holding the lead after 40 minutes. The team’s record when leading after two now stands at 31-1-4. 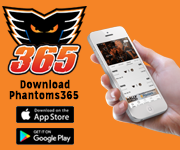 The Phantoms sustained just their 18th loss of the regular season which is tied with the Toronto Marlies for the fewest in the American Hockey League. It was also Lehigh Valley’s second loss in the last eight games (6-2-2) and third loss in the last 15 games (10-3-2). Charlotte came out flying to begin the game and out shot the Phantoms 14-3 in the first period. But Aube-Kubel’s steal neatly set up Fazleev for a shorthanded snipe to the left post for a 1-0 lead. 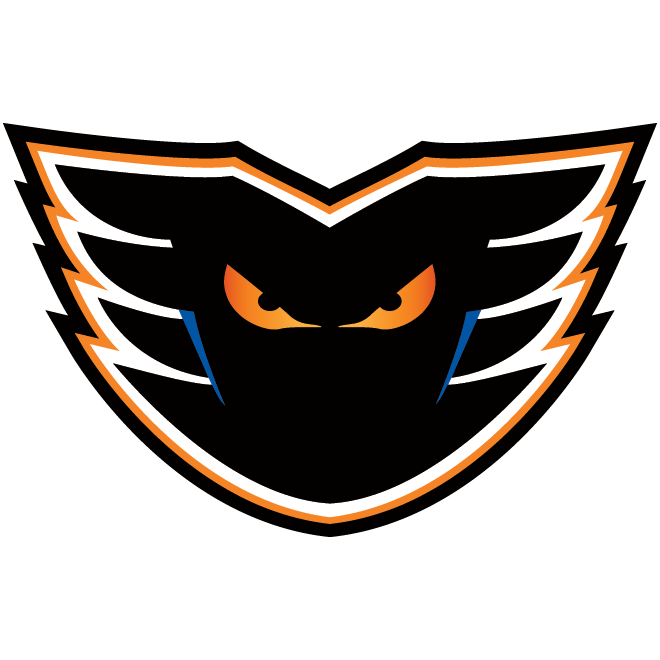 The second shortie of the season for Fazleev was also the 11th for the Phantoms. Fazleev had just been denied on a breakaway mere moments earlier. 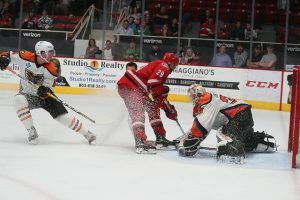 Charlotte thought they had scored on a bar-down shot on their third power play of the opening period but the referee’s original call of no goal was upheld by video-review despite the red light being signaled by the goal judge. 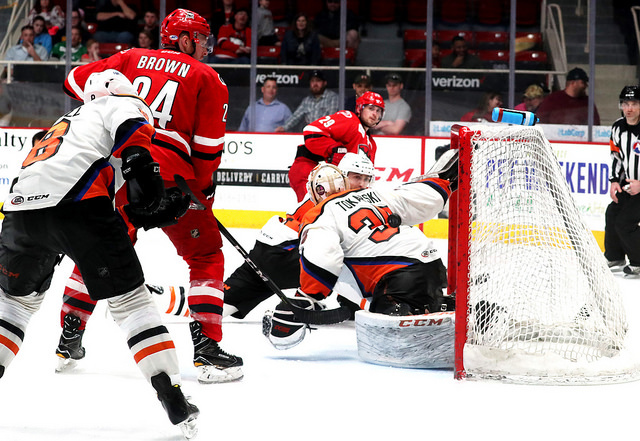 Finally the Checkers broke through in the third period with Andrew Poturalski’s 20th of the season just two minutes into the third period capping a 2-on-1 with Greg McKegg on a shot that was almost saved on a sprawling effort by Tokarski. The pass across from McKegg was very nearly blocked by Mark Friedman who was the lone player back. 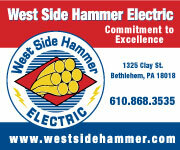 Mike Ferrantino’s empty-netter from the left boards with 48 seconds left completed the scoring. 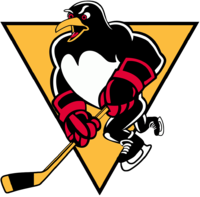 Lehigh Valley and Charlotte will rematch on Wednesday night at Bojangles’ Coliseum. 1st Period-1, Lehigh Valley, Fazleev 4 (Aube-Kubel), 15:47 (SH). 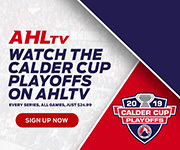 Penalties-Carey Lv (slashing), 6:51; Stortini Cha (hooking), 10:32; Bardreau Lv (hooking), 14:02; O’Neill Lv (roughing), 16:26.